Community meditation group is open to everyone. If you have never meditated before, we suggest you come the first Tuesday or Sunday of the month as we provide basic meditation instruction from 5:45 - 6:00 PM. Sitting group starts immediately after this instruction. Join Atlanta’s Mindfulness Meditation Community. 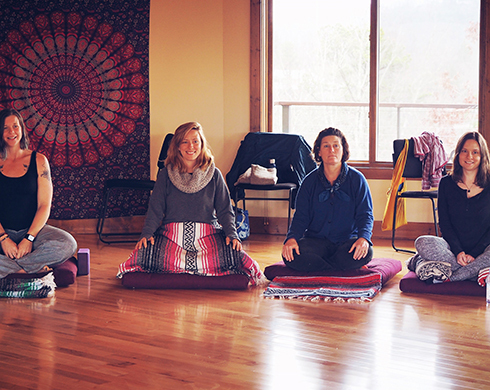 Being a part of a sitting group is a wonderful way to support your own meditation practice and support others in their practice. The program will begin with a 30-minute sit followed by a 10-minute break. We will conclude with a 30-minute mindfulness talk and discussion that is intended to support and strengthen your practice. Please make a donation to attend each sitting group program. $10.00 is the suggested amount, but your gift is greatly appreciated in any amount. Your gift helps defray the costs of the space and supports the teachers, as they are not paid to provide this service. There will be a donation box at the location. Checks and cash are greatly appreciated. Wear comfortable clothes. Cushions and chairs will be provided. You may bring your own cushion if you like. We Offer Four Meditation Groups Each Month. © 2019 Atlanta Mindfulness Institute. All rights reserved.